Pastel colors form in the sky and ocean above Dune Beach in Southampton, New York. Waves crash along the shoreline on a peaceful but overcast morning. 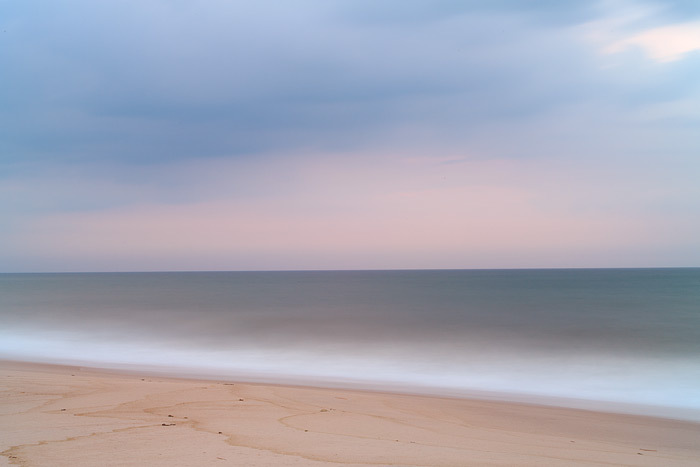 I used a 25 second exposure for this photograph to not only bring out the muted colors on the beach this morning, but also to give the photograph its dreamy look. Photo © copyright by Thomas Mangan.